← Why have A level schemes for learning? 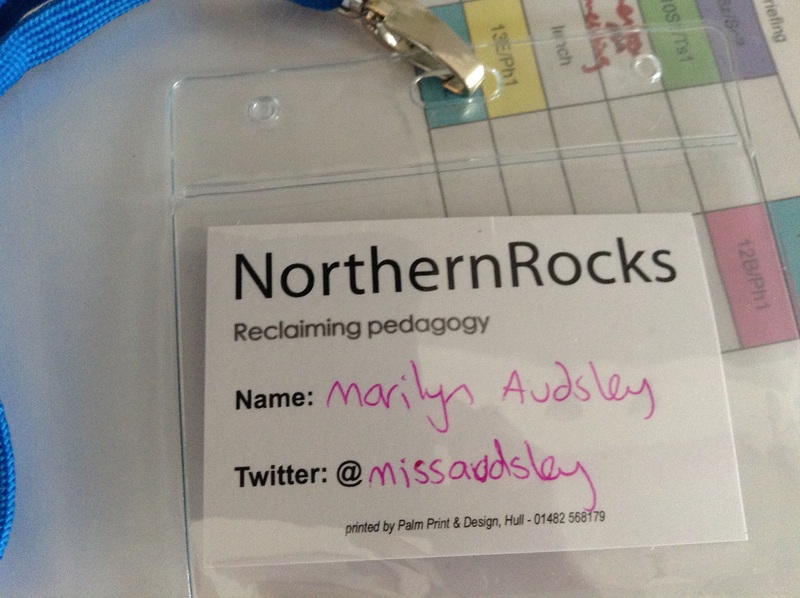 After a lovely first edu conference experience at last years Northern Rocks I was very much looking forward to a lovely day out. Up at 5.30, 2 trains later and I arrived at Headingly. A 20 minute walk through the park and I arrived at the university. Hadn’t seen a single teacher on the walk to the campus. I was wondering if I’d got my days right! 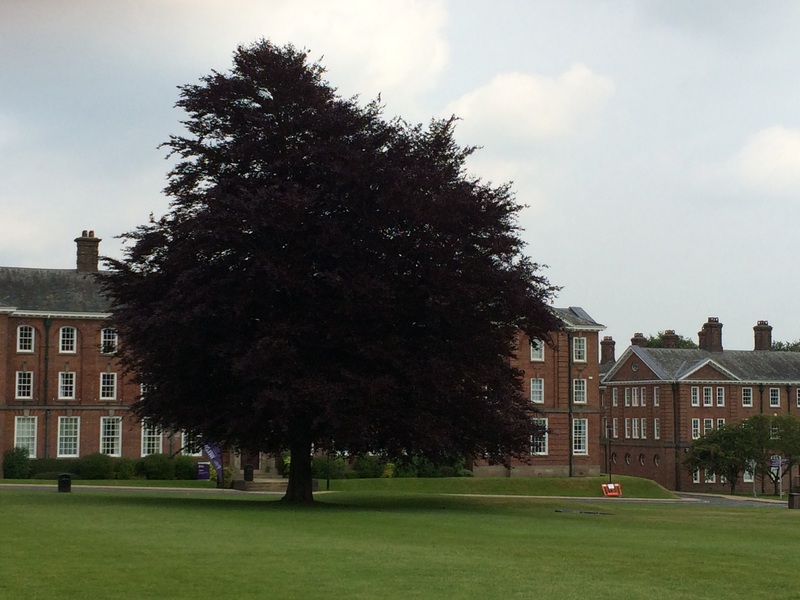 Then I remembered my Twitter timeline had already been taken over by #nrocks talk. It it all kicked off with a panel discussion. Really interesting and can be summarised as: ebacc, poor arts! Teacher recruitment crisis, bad Gove! constant assessment and its implications. Second workshop was with Alastair Arnott (@Alastair_Arnott )and Mick Waters, about positive psychology. Some of the key messages were to always try and know and understand why you are doing something. Why are you teaching? Why are you there? Why am I doing his cpd? etc it can be much more powerful than knowing how or what. Some quick strategies to improve your psychological well being/ positivity (psychological efficiency was the term used in the talk, but I confess, this just doesn’t sound right to me!). We finished off with some discussion of positive failure. I enjoyed this workshop. It resonated with my own personal mission to try and stay positive and to help my pupils be positive and psychologically healthy. Lunch was a lovely catch up with Nic (@Nichola80 ) and a lucky dip lunch bag. The afternoon workshops were the highlight of my day. I made good choices here. Tait Coles (@Totallywired77) discussed fundamental British values through a lens of critical race theory (CRT). It looked at why we need to teach British values rather then just values (quick conclusion: we don’t ). How CRT can help us look at the relationship between race, racism and power. Institutional racism, white privilege, and what we can do as educators about these issues. Working in a fairly racially monotone school, I’m interested in addressing some of these issues with my pupils. Informative, interesting and good music to arrive and leave to (Sleaford Mods?). The final workshop was John Tomsett (@johntomsett). Also known as the workshop everyone wanted to watch. Firstly, a look at how student performance can be enhanced by helping them understand the thought process during an exam of a successful exam taker. This technique (all to do with meta cognition) was the subject of a very widely shared blog by John Tomsett. It even got sent to all staff at my school. There was then an example lesson where meta cognition, good feedback and peer learning are all used effectively. These are the top three techniques that have the greatest impact on student performance from a Sutton trust report. Excellent! The final part was really about John’s ideas on how to run a school with happy staff and pupils. That’s putting it a little simplistically, but I imagine many of the audience left the room wishing they could work at his school. I know I did! 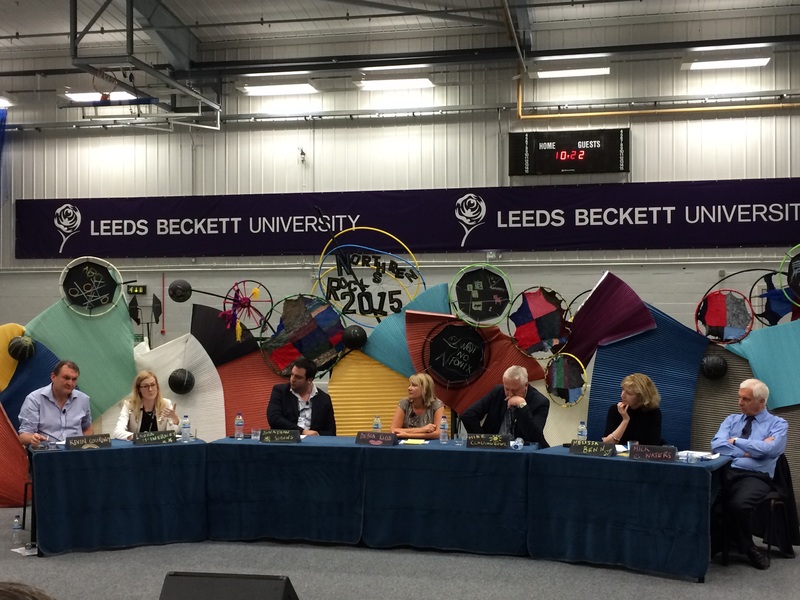 This entry was posted in General and tagged #nrocks, #nrocks2015, cpd, education conference, northern rocks. Bookmark the permalink. Oh I hope it wasn’t me trying to drag you up to dance. I’m completely horrified now – it took me years to overcome my shyness. Hi, please don’t be horrified. It’s probably just me 🙂 I’m not shy, just quiet sometimes and I’m happy with that. It was a fabulous day. Please do another next year!